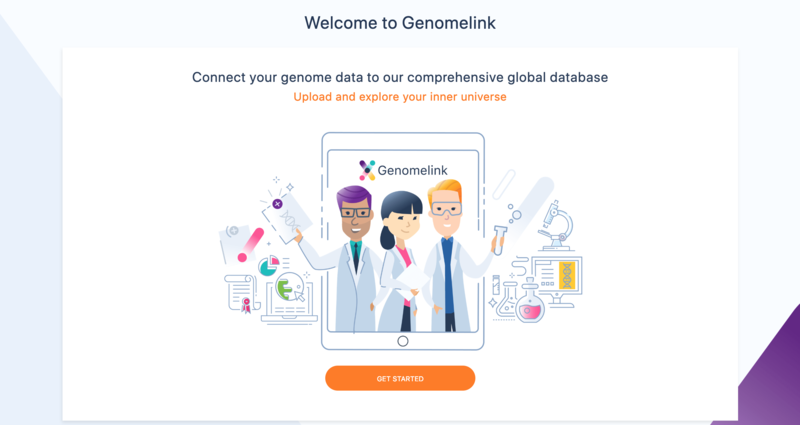 Genomelink connects your DNA data from 23andMe, AncestryDNA, and MyHeritage with rapidly expanding genomics science to help you know more about yourself, including Food & Nutrition, Personality, Intelligence, Fitness and Physical Traits. 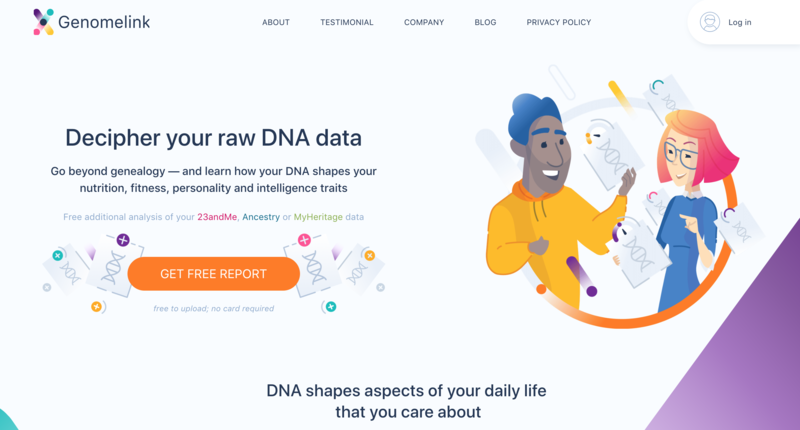 When you get a DNA test from a genetic testing service company like 23andMe, AncestryDNA, or MyHeritage, you can actually download your raw DNA data file because you retain ownership of this data. Genomelink is a company based in California, United States. We are a team of experts in consumer genomics with a strong belief in the future of genomic science. Our science team curates thousands of academic papers and stores all relevant information in our scientific database. 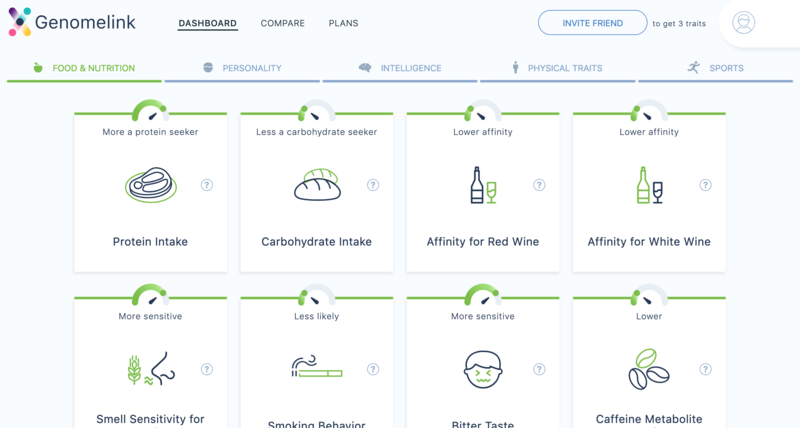 Genomelink presents a genetic traits report to you through a very easy-to-read and beautifully designed dashboard like below! No credit card needed, it takes only 30 seconds. Genomelink TOP page - Decipher your raw DNA data! Follow simple instructions on Genomlink. The process is very simple. Just follow the instructions. 3. Done. Enjoy your Genomelink experience! Yes, that's it! 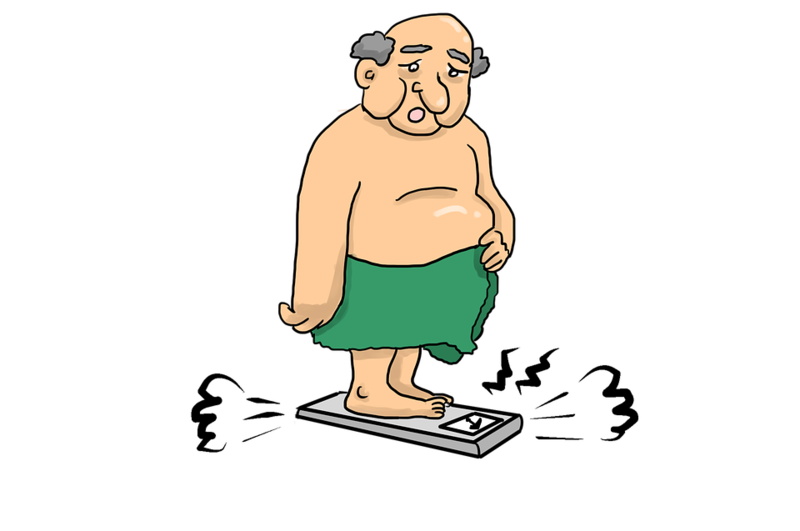 Genomelink offers analysis of 25 genetic traits for free. If you want to unlock more, the Genomelink Unlimited Plan is available with a free trial for the first month! *Genomelink is not an affiliate of DNA Link, Inc, the next generation sequencing company located in Seoul and San Diego. 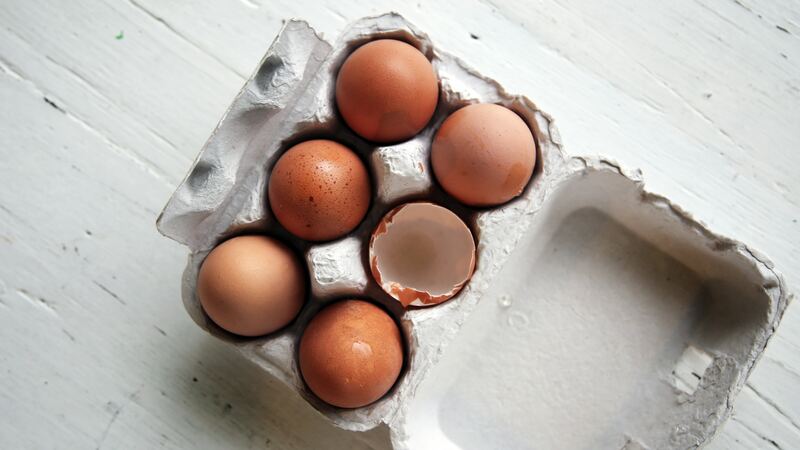 The company is a DNA sequencing service provider, while Genomelink is an independent consumer software platform to provide more genetic traits analysis on your DNA samples. Please do not get confused!